Berkanan is a beautiful shawl design, perfect for embellishing with beads to your individual taste, created by Anne-Lise Maigaard (whom we first met with the Newfoundland Shawl, if you recall). 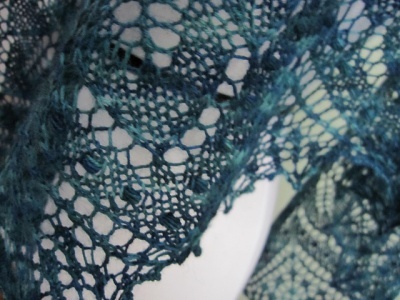 Berkanan is a triangular shawl, showing off birch leaves on a background of lace mesh. It is knit from the top down, meaning that you begin with a few stitches in the middle of the longest side (the neck) and end with the picot edge. 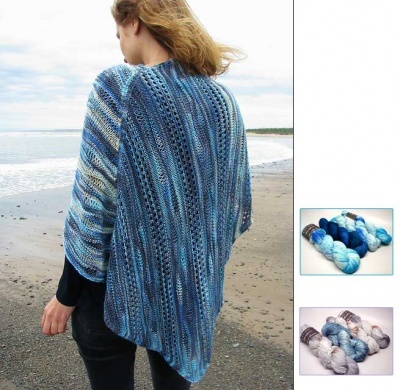 Anne-Lise's original was knit with a heavy lace yarn made up of alpaca and wool. You could happily use any lace weight yarn and have a stunning piece. Figure you will need between 656 yards (600 m) and 700 yards (640 m) for the shawl, the variation mostly depending on your use of beads or nupps. 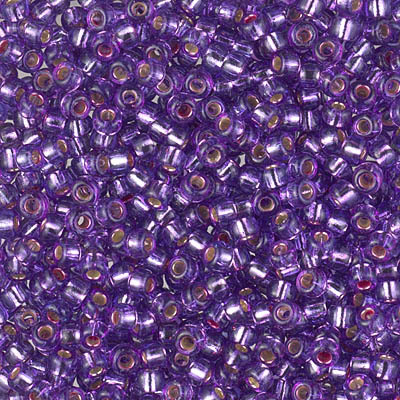 If you decide on beads, you will need about 150 of them -- and I'd say that there is a huge range of sizes and shapes that would look striking here. This looks like great fun! This will be a wonderful shawl to knit up.